Driving down the road the other day and what should be feasting on blue berries? A bear of course. 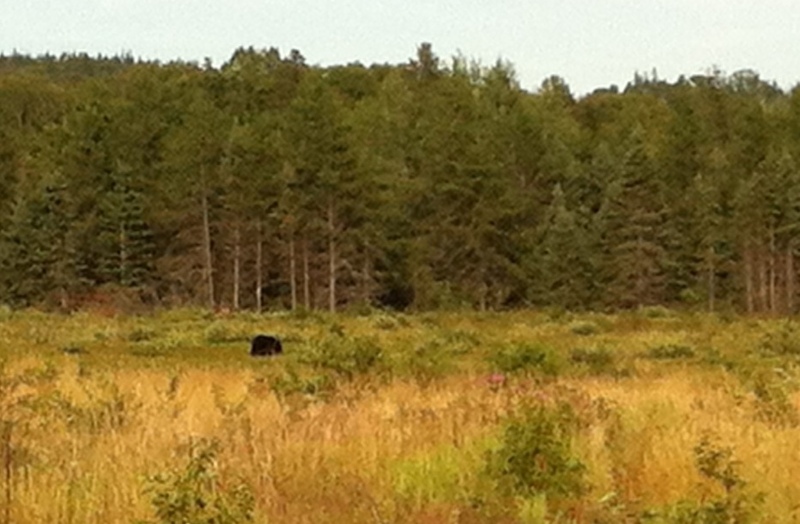 The first of two wild bears we’ve seen.